MATTOON — Adeline Belle Maxedon Kimery of Mattoon, Illinois, peacefully departed this world to go to her heavenly home on March 14, 2019. Funeral Services honoring her life will begin at 2 p.m. on Sunday, March 17, 2019 at Schilling Funeral Home with Pastor Steve Hayes officiating. Burial will follow at Resthaven Memorial Gardens. Visitation for family and friends will be held from 12 p.m. until the time of the service on Sunday at the funeral home. Adeline was born on May 13, 1920 to Reverend Alonzo and Ella Maxedon. Adeline was the third of six children. One sister remains, Adelaide Poe Wright, who also resides in Mattoon. Known for her red hair, Adeline caught the eye of Harold L. Kimery when she was but 14 years old. They married on 5/21/1939. Harold passed away in 1998. Mr. and Mrs. Kimery were blessed with 5 children and 3 nieces, 9 grandchildren and 18 great-grandchildren. Children: Stephen L Kimery, Linda Lee Kimery Storm, Joel Cleve Kimery (Verita), Paula Kimery, and Becky Kimery Coduto, (Angelo). Nieces: Lorice Kimery, Lorraine Kimery Ciardini, and Bonnie Kimery Lane (Bill). Adeline was preceded in death by Linda, Lorraine and Lorice. Grandchildren: Derek Storm, Joel Storm, John Kimery, Scott Kimery, Stephen Bushur, Heather Bushur Lindamood, Brian Coduto, Megan Coduto, and Jacob Kimery. Adeline was preceded in death by John Kimery, her grandson. Adeline was a member of the First Christian Church of Mattoon and also the First General Baptist Church. Adeline’s ministries included teaching Sunday school, vacation Bible school, serving on the Board of the Salvation Army and many other endeavors. Mrs. Kimery worked at General Electric prior to her and her husband moving to Indiana with the New York Central Railroad in 1969. They returned to Mattoon where Adeline continued to enjoy her crafts, crocheting and painting, which won her several awards. Adeline gifted an afghan or quilt to every grandchild. She played cards with her many friends over the years as well. Memorial donations in her honor may be given to the First Christian Church of Mattoon or the Salvation Army. Online condolences may be expressed at www.schillingfuneralhome.net or Schilling Funeral Home’s Facebook page. MATTOON — Gerald Luther Englund, age 79 of Mattoon, IL passed away on Wednesday, March 13, 2019 at Copper Creek Cottages in Mattoon, IL. A funeral service honoring his life will be held at a later date. Mitchell-Jerdan Funeral Home is assisting the family with arrangements. Gerry was born August 22, 1939 in Shelbyville IL the son of Arnold Carl Englund and Katherine (Pauley) Englund. He married the love of his life Carol Dian Cushman on October 15, 1961. Survivors include his wife of fifty-seven years, Carol of Mattoon, IL; two children, Kenny Englund (Michelle) of Mattoon, and Kari Englund-Moreton of Troy, IL. He had four grandchildren Amanda Marie Fonner (Ryan), Kaylee Dian Englund (Fiancé Michael Falconio), Alexandria Grace Moreton and Anthony Joseph Moreton. He had one great-grandson, Harrison Knoll Fonner. He was preceded in death by his parents, one brother, Norviel Englund, and beloved dog, Bo Bo. Gerry was a member of the First Christian Church of Mattoon, where he was a member of the choir. He also sang with the Lakeland Community Choir. Gerry studied at DeVry Institute in Chicago. He worked at Mattoon Heating and Air and Walden’s T.V. and Appliance of Mattoon. Gerry was an avid Cubs fan among a family of Cardinals fans. He loved tinkering and making many family treasures in his wood shop. He enjoyed time with his family most of all. Those who knew Gerry were forever changed by his kind nature. Special thanks to the Copper Creek Staff that has become our family. Memorials may be made to Douglas Hart Nature Center, 2204 Dewitt Avenue E, Mattoon, IL 61938, First Christian Church, 1600 Wabash Avenue, Mattoon, IL and Lincoln Land Hospice, 1004 Health Center Drive, Mattoon, IL. Alzheimer’s took his mind, cancer took his life, but our Lord and Savior has his soul for Eternity! Please visit www.mitchelljerdan.com or www.facebook.com/mitcheljerdanfuneralhome to light a virtual candle in his honor or share a memory with the family. MATTOON — Michael William Rentschler, age 74 of Cooks Mills, IL passed away at 6:53 p.m. Thursday, March 14, 2019 at Carle Foundation Hospital in Urbana, IL. A funeral mass in his honor will be celebrated at 10 a.m., Monday, March 18, 2019 at Immaculate Conception Catholic Church, 320 N. 21st Street, Mattoon, IL 61938. A graveside committal service will immediately follow in Calvary Cemetery. A Biblical Wake service will be held at 4:45 p.m. Sunday evening, March 17, 2019 at Mitchell-Jerdan Funeral Home, 1200 Wabash Avenue, Mattoon, IL. The family will receive friends from 5 p.m. until 7 p.m. at the funeral home. Michael was born on September 26, 1944 in Pasco, WA the son of Frank E. and Virginia M. (Eder) Rentschler. He married Verda Chupp Kestner on November 10, 1984 in Cooks Mills, IL. He is survived by his loving wife Verda Rentschler of Cooks Mills, IL; four children, Monica N. Thomas of Hindsboro, IL, Kristina Inman and husband Frank of Urbana, IL, James L. Kestner and wife Tami of Hugo, IL, Darren S. Kestner and special friend Tina of Villa Grove, IL; nine grandchildren; four great-grandchildren; two brothers, Timothy L. Rentschler and wife Tammy of Cooks Mills, IL, James P. “Pat” Rentschler and wife Cathy of Harristown, IL; two sisters, Mary S. Huckstead of Neoga, IL, and Jeannie E. Gross and husband Wayne of Lerna, IL. He is preceded in death by one brother, Frank Rentschler, and one sister, Colletta Lue Dougherty. Michael retired from USI where he was employed for many years. He was a devout member of the Immaculate Conception Catholic Church in Mattoon, IL and Knights of Columbus. He was a former member of Quails Unlimited, and proud member of Coles County Farm Bureau and National Rifle Association (NRA). He had an impressive collection of knives and guns. Michael loved the wilderness and spent much of his time hunting and fishing at his Farina Farm Camp. He was a WWI and WWII history enthusiast and was always eager to discover new information through his research. Michael was a family man; he loved his wife, children, and grandchildren. He was a constant fixture in their lives and his presence will be truly missed but his memory will live on through them. Memorials in his honor may be made to Immaculate Conception Catholic Church. MATTOON — Charles Michael Degironne, age 63, of Mattoon passed away at 5:12 p.m. on Wednesday, March 13, 2019 at Carle Foundation Hospital, Urbana. Funeral Services honoring his life will begin at 1 p.m. on Monday, March 18, 2019 at Schilling Funeral Home with Pastor Joe Stephens officiating. Burial will follow at Resthaven Memorial Gardens. Visitation for family and friends will be held from 11 a.m. until the time of the service on Monday at the funeral home. Charles was born on December 3, 1955 in Chicago, IL the son of Charles Joseph Degironne and Patricia (Teeters) Casteel. He married Mary E. Abbott on March 30, 1991. Survivors include his loving wife, Mary E. Degironne of Mattoon, IL; mother, Patricia Casteel of New Lenox, IL; children, Nick (Rachel) Degironne of Mattoon, IL, Ashley (Myles) Connour of Mattoon, IL, Christopher Blanchard and Alana Degironne (Josh Foote) of Champaign, IL; grandchildren, Chloe Henderson, Hunter Connour, Nick Henderson, Julie Degironne and Hope Connour; siblings, Mark Degironne of New Lenox, IL, Dena (Tom) Wichelecki of New Lenox, IL, Lisa Gibertini of New Lenox, IL and Rene Degironne of Olive Branch, MS; his rabbit, Lucy and cat, Tasha. Charles was preceded in death by his father. Charles worked for RR Donnelley for 33 years prior to his retirement. He loved the outdoors and enjoyed camping, fishing, arrowhead hunting and golfing. Charles will be remembered as a great cook and by his amazing sense of humor. Charles cherished spending time with his family and especially enjoyed spoiling his grandchildren. In lieu of flowers, memorial donations in his honor may be given to Freedom Life Ministries, 2205 Lafayette Avenue, Mattoon, IL 61938 or the Coles County Animal Shelter, 6818 North County Road 1120 East, Charleston, IL 61920. Online condolences may be expressed at www.schillingfuneralhome.net or Schilling Funeral Home’s Facebook page. KROENLEIN, R. "De Etta," 84, Effingham, 10 a.m. in First Baptist Church, Mattoon. MANES, Connie M., 68, Mattoon, 2 p.m. in Eastside Church of the Nazarene, Mattoon. MATTOON — Connie M. Manes, age 68, of Mattoon passed away at 10:45 p.m. on Wednesday, March 13, 2019 at her residence surrounded by her family. Funeral Services with military rites honoring her life will begin at 2:00 p.m. on Saturday, March 16, 2019 at the Eastside Church of the Nazarene, 2129 South 9th Street, Mattoon, IL 61938 with Pastor Lloyd Simpson officiating. Burial will take place at Dodge Grove Cemetery at a later date. Visitation for family and friends will be held from 12:00 p.m. until the time of the service on Saturday at the church. Schilling Funeral Home is assisting the family. Connie was born on February 10, 1951 in Muncie, Indiana the daughter of Ralph and Georgia (Henson) Manes. Survivors include her sister, Kay Ogden; nieces and nephews, Pamela (Ben) Andres, Kimberly Manion, Terry Trader and Dawn Lint; Joshua (Christine) Francis, Jayden Craig, Kaleb Christopher, Kyler Lint, Raymond Broadway, Austin Pitts, William Pitts, Byson Broadway and Liam Neff; Lacy Craig, Danielle (Nick) Pitts, Allison Lint and Tearza Broadway, Aubriee Broadway, Ma’Kailya Wilson; and special friend, Janet Woelber. Connie was preceded in death by her parents, sister, Barb McGinness; niece, Corina Harney; and nephew, Nathan Craig. Connie served honorably in the United States Marine Corps. She worked as a Computer Programmer both at Lake Land College and retired from the Eastern Illinois University Data Center. Connie was a Democratic Party Precinct Committee Person and her letters to the editor could be seen regularly in the newspaper. Connie made the world a better place by always giving of herself in everything she did. Most of all, Connie cherished spending time with her family and friends. She will be greatly missed by all those who knew her. Because of her love for animals, memorial donations in her honor may be given to the Coles County Animal Shelter, 6818 North County Road 1120 East, Charleston, IL 61920. Online condolences may be expressed at www.schillingfuneralhome.net or Schilling Funeral Home’s Facebook page. TOLEDO -- Kathryn “Katie” Ann McKinney, 87, of Toledo, IL passed at 8:15 AM Wednesday, March 13, 2019 at Heartland Christian Village in Neoga, IL. Funeral services will be held at 10:00 AM Monday, March 18, 2019 at The United Methodist Church in Toledo, IL. Visitation will be from 5:00 to 7:00 PM Sunday, March 17, 2019 at the Barkley Funeral Chapel in Toledo. Burial will be in the Mullen Cemetery. Katie was born April 23, 1931 in Sumner, IL to Charles and Elizabeth (McVickar) Piper. She married Warren McKinney on March 29, 1964 and he preceded her on December 12, 1985. Surviving are her sons Wesley (Brenda) McKinney of Sedalia, CO and John (Ellen) McKinney of Kissimmee, FL; five grandchildren Cpl. Calysta McKinney USMC, Stacia McKinney, Leaya McKinney, Megan James and Kassandra McKinney. She was preceded in death by her parents and Brother Charles Piper; Sisters Eloise Mattoon, Betty Lawson, Rosemary Hotz and Virginia Piper. Katie was a homemaker and was a member of the Toledo United Methodist Church, United Methodist Women, Domestic Science and a 50-year member of the Order of Eastern Star. The donations will be used for Cumberland County 4-H education and programming. Mail donations to: Cumberland County Extension Office, P.O. Box 218, Toledo, IL 62468. MATTOON — The funeral for Freda F. Noll was Wednesday afternoon at the Schilling Funeral Home with Pastor Virgil Cisney officiating. Burial was in Dodge Grove Cemetery. The organist Melissa Ferguson accompanied Kim Henness who sang, “The Old Rugged Cross,” “In the Garden” and “How Great Thou Art.” Jerry Cisney played the guitar and sang, I’ve Got More to Go to Haven for Than I Had Yesterday.” Guitarist Jerry Cisney accompanied Pastor Virgil Cisney who sang, "I've Got a Mansion Over the Hilltop." The pallbearers were Dennis Wirth, Darrell Wirth, Mitch Wirth, Brad Wirth, Jimmy Warner and Mark Warner. Mrs. Noll, 96, of rural Gays died March 8, 2019 at her residence. DEGIRONNE, Charles, 63, Mattoon, died Wednesday (March 13, 2019). Schilling Funeral Home, Mattoon. ENGLUND, Gerald L., 79, Mattoon, died Wednesday (March 13, 2019). Mitchell-Jerdan Funeral Home, Mattoon. GILLIS, Timberlyn, stillborn infant, Mattoon, died March 8, 2019. Schilling Funeral Home, Mattoon. 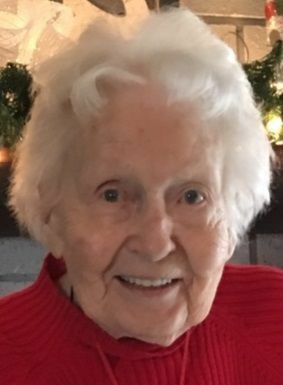 KIMERY, Adeline, 98, Mattoon, died Thursday (March 14, 2019). Schilling Funeral Home, Mattoon. CHARLESTON -- Rose Marie O’Brien, age 80 of Charleston, entered her Heavenly Home on Monday, March 11, 2019. Visitation will be from 5:00 – 6:00 p.m., Monday, March 18, 2019 at Adams Funeral Chapel in Charleston. The Funeral Service will begin at 6:00 p.m. immediately following the visitation with Father Hyland Smith officiating. Inurnment will be at a later time. Donations may be made to Adams Funeral Chapel to assist Rose’s family with final expenses, and left at the visitation/service or mailed to 2330 Shawnee Dr., Charleston, IL 61920. Rose was born August 4, 1938 in Damascus, Syria, the daughter of the late Dahir and Alice (Dada) Hanna. Surviving are two daughters, Christine Bisesi and husband Michael of Westerville, Ohio and Judith Brawner of Charleston; five grandchildren; and soon to be nine great-grandchildren. In addition to her parents she was preceded in death by a son, Robert O’Brien. Rose’s complete obituary is available at www.adamsfuneralchapel.com. MATTOON — Cora Madonna Stuckey, age 89 of Mattoon, IL passed away at 4:05 P.M. Tuesday, March 12, 2019 at Carle Foundation Hospital in Urbana, IL. A funeral mass in her honor will be celebrated at 10:00 A.M. Saturday, March 23, 2019 at Immaculate Conception Catholic Church, 320 N. 21st Street, Mattoon, IL 61938. A graveside committal service will immediately follow at St. Rose of Lima Cemetery in Montrose, IL. A visitation will be held one hour prior to the service at the church. Mitchell-Jerdan Funeral Home is assisting the family with services. Cora Madonna was born on September 28, 1929 in Mattoon, IL the daughter of Henry C. and Josephine C. (Lanus) Stuckey. She is survived by one sister, Betty Sehi of Laguna Woods, CA, and many nieces and nephews. She is preceded in death by five brothers and six sisters. Cora Madonna retired from General Electric, where she was employed for over thirty-five years. She later worked at Dairy Queen on 19th Street where she became a familiar and welcoming face to many families. She was a devout member of The Immaculate Conception Catholic Church in Mattoon, IL, Daughter of Isabella 209, Ladies Auxiliary of VFW 1769, and Women of the Moose Chapter 312. Cora Madonna was quite a character and there was nothing she liked better than an interesting conversation with a good friend. She could have an engaging conversation with anyone. Family was Cora Madonna’s pride and joy in life. She knew and loved each and everyone one of them in a special way. The legacy of Cora Madonna’s zest for life and kind spirit will live on through them. Memorials in her honor may be made to Immaculate Conception Catholic Church. Please visit www.mitchelljerdan.com or www.facebook.com/mitchelljerdanfuneralhome to light a virtual candle in her honor or share a memory with the family. BLANCHARD, Peggy S., 71, Charleston, 11 a.m. in St. Charles Borromeo Catholic Church, Charleston. LONG, Philip W., 82, Mattoon, 2 p.m. in Mitchell-Jerdan Funeral Home, Mattoon. WILSON, Kenneth Duane, 67, Sullivan, 2 p.m. in Harper-Swickard Funeral Home, Sullivan. MATTOON — Philip W. Long, age 82 of Mattoon, IL passed away at 12:54 a.m., Tuesday, March 12, 2019 at Sarah Bush Lincoln Health Center in Mattoon, IL. A funeral service in his honor will be held at 2:00 p.m. Friday, March 15, 2019 at Mitchell-Jerdan Funeral Home, 1200 Wabash Avenue, Mattoon, IL; Reverend William Duey will officiate. Burial will be held in Dodge Grove Cemetery at a later date. The visitation will be from 12:00 p.m. until the time of service at the funeral home. Philip was born on July 10, 1936 in Montpelier, VT, the son of Merton and Irene (Kemp) Long. He married Cheryl D. Bostic on December 14, 1974 in Georgia. He is survived by his loving wife Cheryl Long of Mattoon, IL; four children, Devin C. Long and fiancée Shannon Smith of Mattoon, IL, Philip W. Long II of Amarillo, NM, Sheree Long Morris of Melbourne Beach, FL, and Rick Long of Florida; ten grandchildren, Skyler, Callie, and Trevor Long of Mattoon, IL, Prahod, Premo, Philip III, Michael Long of Maine, and Drisden and Cargill Morris of Florida; two great-grandchildren, Nora Long of Mattoon, IL, Katherine Morris of Tennessee, Adi Grace Campbell of Kentucky; and one brother, Merton Long of Carolyn, FL. He is preceded in death by his parents, one son, Brad Long, and one grandchild, Eli Long. Philip was a bricklayer for Long’s Masonry and belonged to the Union of Bricklayers in Champaign, IL. He was a former member of Moose Lodge of Mattoon, IL, cheered on the Chicago Cubs, and adored his dogs. Phillip was an automobile enthusiast, attended many car shows throughout his life, and a proud owner of a '34 Ford Street Rod. Phillip was loved by many and will be missed by all. Please visit www.mitchelljerdan.com or www.facebook.com/mitchelljerdanfuneralhome to light a virtual candle or share a memory with the family. STUCKEY, Cora M., 89, Mattoon, died Tuesday (March 12, 2019). Mitchell-Jerdan Funeral Home. SULLIVAN — Kenneth Duane Wilson, 67, of Sullivan, passed away Sunday, March 10, 2019 at HSHS St. Mary’s Hospital, Decatur. His funeral will be held at 2:00 p.m. Friday, March 15, 2019 at the Harper-Swickard Funeral Home. Burial will follow in Roselawn Cemetery, Charleston. Visitation will be from 12:00 p.m. (Noon) to 2:00 p.m. Memorials in his honor may be made to the American Heart Association. Kenneth was born April 18, 1951 in Champaign, son of Martha (Finley) and Ralph Raymond Wilson, Sr. He married Nancy Grace Nolen, January 21, 2003; she preceded him in death, February 6, 2012. He is survived by children: Terry (Jennifer) Thompson of Streamwood, IL and Tracie Ottwell (Joshua Sanders) of Mattoon. Five grandchildren Ashton Ottwell, Keira Sanders, Arkin Sanders, Mary Ellen Sanders, and Dylan Martin; and two brothers: Terry (Mely) Wilson of Mt. Pulaski, IL and Ralph Wilson, Jr. of Charleston; nieces and nephews: Danielle, Kimberly, Michelle, Alex, Brian, and Cindy also survive. He was preceded in death by his parents, one sister: Rosalie Burris; and one niece: Brandi Wilson. EFFINGHAM — R. "De Etta" Kroenlein, 84, of Effingham, Illinois passed away at 1:29 a.m., Wednesday, March 13, 2019, at her daughter's residence in rural Effingham, Illinois. She was born June 11, 1934, in Douglas County, Illinois, the daughter of Leonard E. and Gladys Irene (Clark) Weber. De Etta married James Zike in November, 1951, he passed away March 10, 1957. She later married Donald Reed, Mr. Reed passed away on October 7, 1977. Later she married Kenneth E. "Skinner" Kroenlein December 1, 1979 in Mattoon, Illinois. Skinner passed away on April 17, 2003. De Etta worked at Central National Bank of Mattoon, Illinois for over thirty years and for Comer Nissan / K.C. Summers in Mattoon, Illinois. She was a member of the First Baptist Church and the Eastern Star Lodge, both of Mattoon, Illinois. De Etta leaves her daughter, Susie Bowlin (Richard) of Effingham, Illinois and Linda Gamble (Scott) of Mahomet, Illinois; step-son, Gary Kroenlein (Hazel) of Mattoon, Illinois; three grandchildren and 2 great-grandchildren. She was preceded in death by her parents, three husbands James Zike, Donald Reed and Kenneth Kroenlein; three brothers, Darrell, Jim and Claude Weber and one stepdaughter, Sandra K. Hopper. In lieu of flowers, memorials are suggested to the St. Jude Children's Research Hospital. A celebration of De Etta's life will be held at 10:00 a.m. in the First Baptist Church of Mattoon, Illinois on Saturday, March 16, 2019 with Pastor Dennis Strawn officiating. Visitation will be held from 5:00 p.m. to 7:00 p.m. Friday March 15, 2019 in the Church. The Swengel - O'Dell Funeral Home of Neoga, Illinois is assisting the family with arrangements. CHARLESTON — Peggy S. (Kramer) Blanchard, age 71 of Charleston, IL, formerly of Villa Grove, IL, died at 7:58 p.m. on Saturday, March 9, 2019 at the Hilltop Nursing Home in Charleston, IL. A funeral Mass will be held at 11:00 a.m. on Friday, March 15, 2019 in the Saint Charles Borromeo Catholic Church, (921 Madison Ave) Charleston, IL with Father Michael Highlander officiating. A visitation will be from 5 p.m. to 7 p.m. on Thursday, March 14 at the Joines Funeral Home (Il RT 130 S) Villa Grove, IL. Peggy was born October 28, 1947 in Effingham, a daughter of Henry A. and Mary R. (Roedl) Kramer. She married David Blanchard and he survives. Also surviving are stepson Bradley Blanchard; brothers Henry E. "Woody" (Mary Alice) Kramer, Casper A. "Tony" Kramer; sisters Bobbi (Rumer) Kramer, Barbara Legner, Anita (Jerry) Brazzell, Mary Parker (Dr. Peggy Johnson) Anicia Kramer and Cami (Stephen) Piskiak; 23 nieces and nephews, 27 great-nieces and nephews. Peggy was preceded in death by her parents, sister, Denise Diane Hassan, brother, Bernard Laverne Kramer and stepson Matthew Blanchard. Peggy taught school in Hume, IL at the Shiloh School, and the Tuscola School District. She taught for 34 years and retired in 2005. She will be deeply missed by all who knew her and leaves a legacy for all to cherish. MATTOON — James F. Cobb, age 86 of Mattoon, IL passed at 9:17 a.m., Tuesday, March 12, 2019 at Sarah Bush Lincoln Health Center in Mattoon, IL. Funeral services will be held at a later date. Mitchell-Jerdan Funeral Home is assisting the family with arrangements. James was born on October 15, 1932 in Cooks Mills to the late Howard and Frances (Phelps) Cobb. He married Mary C. Hoover on December 19, 1989 in Waverly, TN. He is survived by his wife Mary Cobb of Mattoon, IL; four children Ricky Gene Cobb, Deborah Sue, Francis Elaine, and Barbara Christine; two brothers, Kenneth Cobb and wife Janice of Mattoon, IL, Marvin Cobb and wife Sharon of Altamont Springs, FL; two sisters, Nancy Wortham of Lerna, IL and Joyce Cobb of Mattoon, IL. He is preceded in death by one son, two brothers, and one sister. James honorably served our country in the army during the Korean Conflict. He was a member of the New Life Tabernacle Church. He was previously employed by Yellow Freight and retired from Howell Asphalt in Mattoon, IL. He was a former member of the VFW and American Legion in Mattoon, IL. He loved traveling and spending time with loved ones. Please visit www.mitchelljerdan.com or www.facebook.com/mitchelljerdanfuneralhome to light a virtual candle in his honor or share a memory with the family. NOLL, Freda Florene, 96, Gays, 1:30 p.m. in Schilling Funeral Home, Mattoon. COBB, James F., 86, Mattoon, died Tuesday (March 12, 2019). Mitchell-Jerdan Funeral Home. LONG, Phillip W., 82, Mattoon, died Tuesday (March 12, 2019). Mitchell-Jerdan Funeral Home. O'BRIEN, Rose, 80, Charleston, died Monday (March 11, 2019). Adams Funeral Chapel. PUGH, John Ernest, 78, Charleston, died Saturday (March 9, 2019). Adams Funeral Chapel. ROBISON, Irene I., 87, Westfield, died Sunday (March 10, 2019). Adams Funeral Chapel. 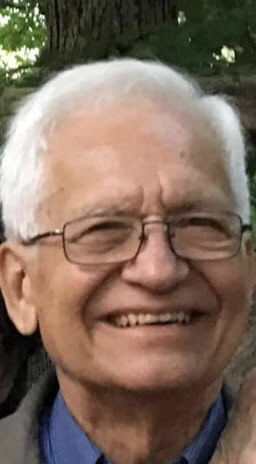 WINNETT, Maurice David, 77, Casey, died Sunday (March 10, 2019). Markwell Funeral Home. NEOGA — SHARON ANN HEDDINS, 69, of Neoga, Illinois passed away at 12:33 P.M., Sunday, March 10, 2019, at the Mattoon Health Care and Rehabilitation Center of Mattoon, Illinois. In lieu of flowers memorials are suggested to the family C/O Sherry Wolfe, 308 S. Ohio, Toledo, Illinois 62468. As per Sharon's wishes, cremation rites will be accorded and a private family service will be held at a later date. The Swengel - O'Dell Funeral Home of Neoga, Illinois is assisting the family with arrangements. CARTER, Riley B. Jr., 75, Gays, 11 a.m. in Schilling Funeral Home, Mattoon. DAVIDSON, Ladora Marlene, 72, Martinsville, 10 a.m. in Pearce Funeral Home, Marshall. FRAILEY, Paul T., 25, Mattoon, 10 a.m. in the Swengel-O'Dell Funeral Home, Neoga. HARRINGTON, James A., 87, Arcola, 10 a.m. in St. John the Baptist Catholic Church. NOLAN, Mary Elizabeth "Beth," 50, Mattoon, 10 a.m. in Immaculate Conception Church. GAYS — Freda Florene (McDermott) Noll, age 96, of Gays passed away at 4:33 a.m. on Friday, March 8, 2019 at her residence. Funeral Services honoring her life will begin at 1:30 p.m. on Wednesday, March 13, 2019 at Schilling Funeral Home with Pastor Virgil Cisney officiating. Burial will follow at Dodge Grove Cemetery. Visitation for family and friends will be held from 5 p.m. to 8 p.m. on Tuesday, March 12, 2019 at the funeral home. Freda was born on March 19, 1922 in Cumberland County the daughter of John and Hester Florene (Guy) McDermott. She married Lloyd Payne Noll on December 23, 1942 in St. Louis, Missouri. He preceded her in death on January 16, 1994. Survivors include her loving daughter, Sherilyn Noll of Gays, IL. In addition to her husband, Freda was preceded in death by her parents and two sisters. Freda was a devoted farmer’s wife and mother. She was born on a farm and enjoyed farm life. She helped her parents with milking and taking care of the livestock from a very early age. She was assigned the responsibility of raising baby animals that needed a little extra help or were orphaned, and she continued that responsibility throughout her life. Her father gave her a heifer calf for her 18th birthday, and the descendants from that calf are still on the farm today. Freda was a member of the Ash Grove Christian Church and the Odd-Fellow Rebekah Lodge. She enjoyed sewing, embroidery and painting pillow tops. Also, she had a great love for flowers and she spent hours caring for them both inside the house and outdoors. Freda and her daughter Sherilyn enjoyed traveling, attending dances and going everywhere together. MARTINSVILLE — Ladora Marlene Davidson, 72, of Martinsville, IL passed away 1:45 a.m. Friday, March 8, 2019 in Providence Health Care at St. Mary's of the Woods, IN. Marlene was born Jan. 22, 1947 at Terre Haute, IN, the daughter of Joe and Rosalee McMillan O'Dell. She married James D. Davidson on Oct. 12, 1968 at Casey, IL and he survives. Also surviving are her children Rick Davidson (Chris Hendrix) of Marshall, IL, Kimberly Skidmore (Andy) of Marshall, IL and Natalie Young (Mike) of Martinsville, IL and grandchildren, Derick Davidson, Taylor Davidson, Jacob Davidson, Madison Young and Tori Young. She was a faithful member of the Martinsville Christian Church. She was a graduate of Casey High School and Lockyear's Business College of Evansville, IN. A devoted wife, mother, and grandmother, she was constantly seen attending events that her grandchildren were participating in. Services in honor of her life will be 10 a.m. Tuesday at Pearce Funeral Home in Marshall with Bro. Randy Murphy officiating. Burial will be in the Marshall Cemetery. Visitation will be 4-7 p.m. Monday at the funeral home. For those desiring, memorial contributions may be made to the Martinsville First Christian Church. Online condolences may be expressed at pearcefuneralservices.com.